Nowadays the segments of entertainment have diversified and people have discovered new ways to pass their time. Netflix plays a very important role here in today’s time and it consists of a variety of episodes and movies. Not only Hollywood but also it contains many amazing Hindi films which you would definitely love to watch. Let’s check out some of the best Bollywood movies on Netflix. Special 26 is a Bollywood film directed by Neeraj Pandey which features Akshay Kumar in the lead role and, Manoj Bajpayee, Anupam Kher, Kajal Aggarwal, Jimmy Shergill and Divya Dutta in supporting roles. The movie is based on a team of fake CBI officers who travel to different parts of the country and conduct raids on corrupt and powerful businessmen and ministers. The movie went on to be commercially successful and was truly loved by the Bollywood fans. It is definitely one of the best Hindi films on Netflix. 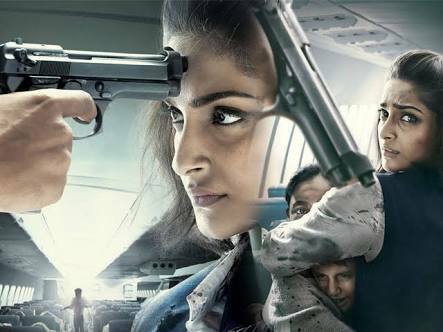 Neerja is a Bollywood film directed by Ram Madhvani which featured Sonam Kapoor in the major role who played the role of the brave 22-year-old air hostess of Pan Am flight 73, which was hijacked by terrorists in the month of September in 1986. Neerja Bhanot by sacrificing her life saved the lives of 359 passengers in the aircraft. It was a great historical story and Sonam Kapoor did a brilliant acting and was truly appreciated by the audience. The film went on to be commercially successful and you definitely can’t afford to miss such kind of a movie. This is one of the best Indian movies on Netflix. 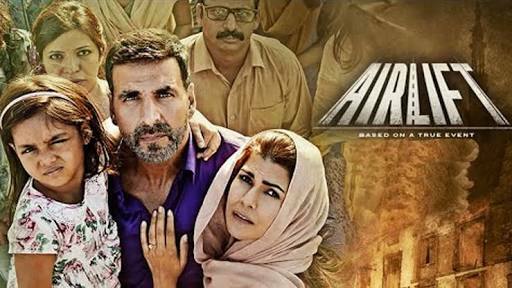 Airlift is a Bollywood film which was directed by Raja Krishna Menon which features Akshay Kumar in the major role who acted as Ranjit Katyal, a Kuwaiti businessman, and carries out the mission of rescuing the Indians who were based in Kuwait during the invasion of Kuwait by Iraq. Akshay Kumar completely fits in the role of Ranjit Katyal and touched the hearts of the people with his really pleasing and breathtaking performance. Airlift is truly one of the best Indian moves on Netflix. Udta Punjab is a Bollywood film directed by Abhishek Chaubey which features Shahid Kapoor, Alia Bhatt, Kareena Kapoor and Diljit Dosanjh in the major roles. It highlighted the major issue of drugs abuse in Punjab which involves the youth carelessly indulging in it. The acting of Shahid Kapoor was truly amazing. He was completely driven by the role of a drug addict in the movie and thus gained a good amount of attention on the big screens. Udta Punjab also comes under one of the best movies on Netflix. Madras Café is a film which is based on the civil war which happened in Sri Lanka in the early ninety’s and which is also linked to the assassination of the former Indian Prime Minister Rajiv Gandhi. The film involves elements of crime, drama thrill and emotions and was truly loved by the Bollywood fans. The film gained an overall positive response and it surely comes under one of the best Indian films on Netflix. Dangal is a Bollywood sports film directed by Nitesh Tiwari which features Aamir Khan, Fatima Sana Shaikh and Zaira Wasim in the major roles. 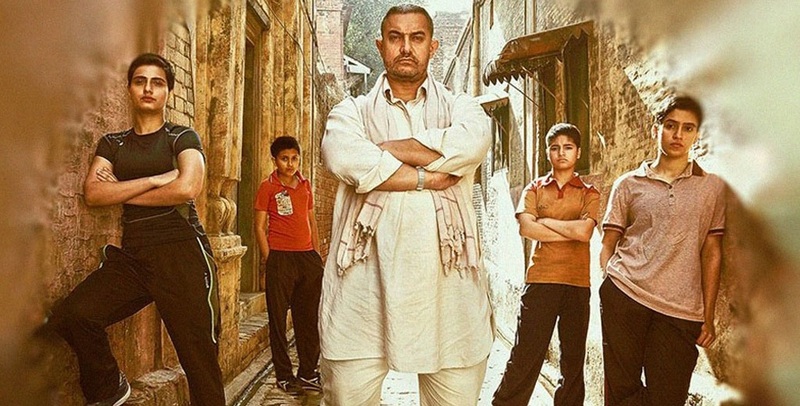 The movie is based on the Phogat family which lived in Haryana, telling the story of Mahavir Singh Phogat, an amateur wrestler who trains his daughters Babita Kumari and Geeta Phogat to make them India’s great female wrestlers who could fight his dream of winning a gold medal for the country. The movie is really inspiring and got a great response from the audiences and the critics. The movie was considered the best film of the year 2016 and is also one of the best Indian films on Netflix. 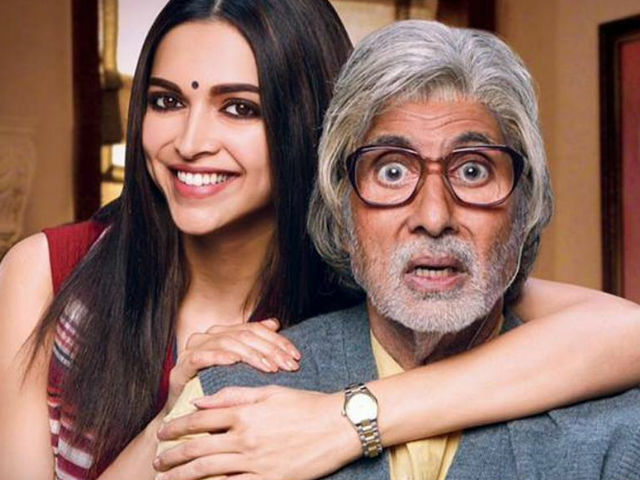 Piku is a Bollywood comedy film directed by Shoojit Sircar which features Deepika Padukone, Amitabh Bachchan and Irrfan Khan in the major roles. The film involves elements of comedy, drama and chaos and the acting of Amitabh Bachchan as a patient of constipation was just phenomenal. He completely succeeds in entertaining the audiences with his role and the movie turns out to be really good. You can find this amazing Bollywood film on Netflix as well. 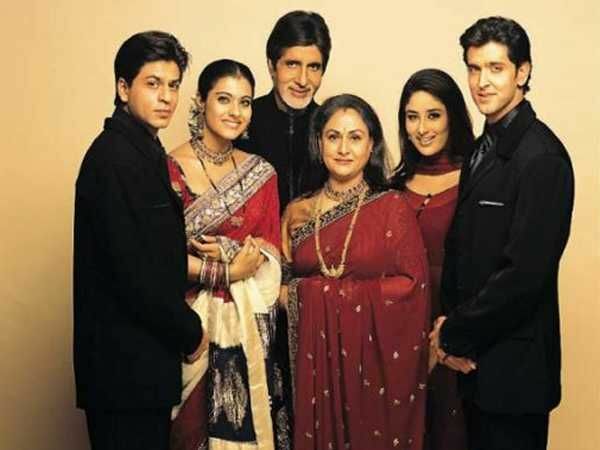 Kabhi Khushi Kabhie Gham is a Bollywood film directed by Karan Johar which features Kajol Devgn, Kareena Kapoor, Amitabh Bachchan and Hrithik Roshan in the major roles. Shahrukh Khan and Hrithik Roshan acted as brothers in this movie. The movie is based on a complete family drama and also with the element of romance. The movie received a super positive response from the critics and was one of the best movies of all time. The movie shows the love of a divided family and shows how they get reunited because of Rohan (Hrithik) and Pooja (Kareena). The movie definitely comes under the list of best Bollywood movies on Netflix. 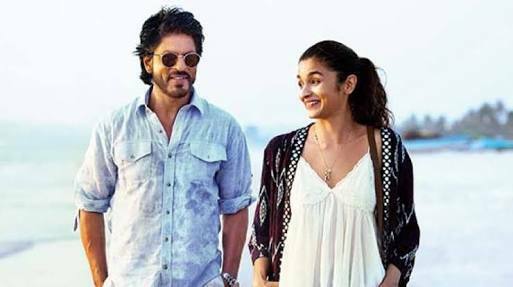 Dear Zindagi is a Bollywood film directed by Gauri Shinde which features Alia Bhatt and Shah Rukh Khan in the lead roles. The character and the acting of Shah Ruk as a psychologist was a real superhit. The story totally defines life and gives the audience really beautiful thoughts and definition about the perspective of life. King Khan’s name in the movie was Dr.Jehangir Khan and the way he understands and treats the problem of Kaira (Alia Bhatt) was just amazing. You’ll find this amazing film on Netflix and definitely, it is one of the best Bollywood films on Netflix. Pyaar Ka Punchnama 2 is a Bollywood comedy film directed by Luv Ranjan which features Kartik Aaryan, Om Kapoor, Sunny Nijar, Nushrat Bharucha, Sonali Segall and Ishita Raj Sharma in the lead roles. The film is based on bromance and involves elements of comedy, chaos, romance, and emotions. The comedy punches in the film will definitely be going to make you laugh like anything and it’s definitely a must watch for you if you are an anti-feminist. The film is truly one of the best comedy Bollywood films and you will also find it on Netflix.